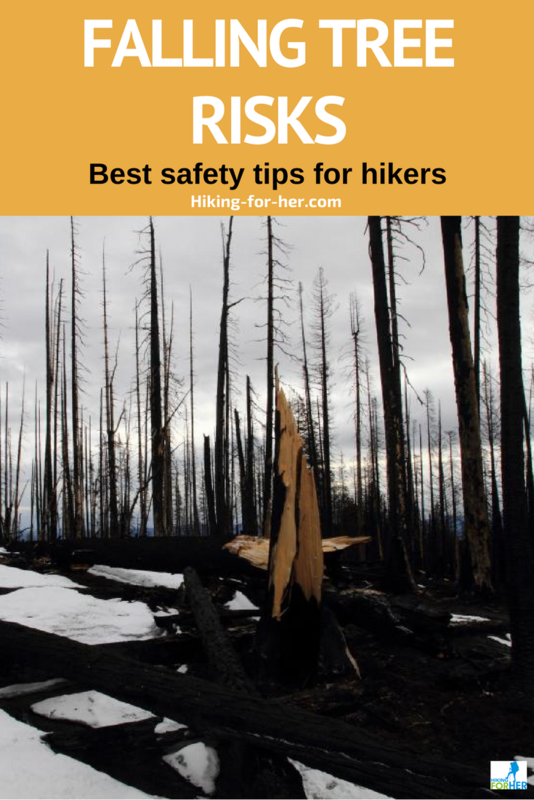 A falling tree risk is right up there with all of the other risks a hiker can face. So it's important to share a few scenarios with you before you head out to the trail. That way you'll know when you're facing a falling tree risk, and whether or not you should even be on the trail. If you're heading into a familiar area, you probably already know the seasonal wind patterns. For example, in spring it's likely that gusts of wind will announce the arrival of a change in air pressure prior to the arrival of a storm. And if you're headed somewhere new? Well, the same piece of advice goes for both scenarios: check the local weather forecast for high wind advisory announcements. Expect to spend a bit of time pouring over the wealth of data here. Just pop in your zip code, and off you go! Not to disrespect the well groomed weather forecasters on the TV news, but their data is not as reliable as the National Weather Service's information. Rely upon the weather "reports" from the media at your own risk. It's smarter to drill down to the exact area you'll be hiking in. Mother Nature uses high wind events to groom her tree tops of dead wood. She also loves to get all dramatic and fling stuff around in the wind. You don't want to be in the way of anything coming off a tree, or the tree itself, on a windy day. If the forecast calls for a bit of wind which will die down quickly as the day progresses, you can plan a hike that doesn't take you into a treed area. But if you're facing a forecast of sustained winds, maybe a hike isn't the right type of outdoor activity. From personal experience, it's scary as **** to be outside with no shelter other than the trees which might fall on you. Please avoid it at all costs. You're literally taking your life into your own hands. Think again! Here's a trail report from hikers who missed a blow down event on the way in, but witnessed the fallen trees on the way back to the trailhead. So is awareness of what's above and around you, especially when you stop moving for rest breaks. Ever hear of an atmospheric river (AR) event? According to the Weather Channel, an AR is a long plume of moisture way up in the atmosphere that stretches from areas with lots of moisture (tropics) to areas that are normally drier - perhaps right where you want to hike. We're talking about the kind of precipitation that rain gear doesn't even begin to protect against. Here in the Pacific NW, we get a "pineapple express" a few times a year. It's eerie to have really warm, moist deluges, because we're used to cool (okay, mostly cold) water falling from the sky. Trees sink their roots deeply into Mother Earth, and when the soil gets saturated, the roots lose their purchase and can tip the crown of the tree right down to the ground. This afflicts healthy trees as well as diseased trees, and there's no way to predict when a tree is going to "give up" and fall. That means hiking in, or through, a forested area in a deluge is risky business. And it's a good idea to read trail reports if they're available for the days following a huge rain event. If trees are going to fall, let's hope they do so when the trail is clear of activity. More and more trails in the United States and Europe are being affected by forest fires which rage out of control. 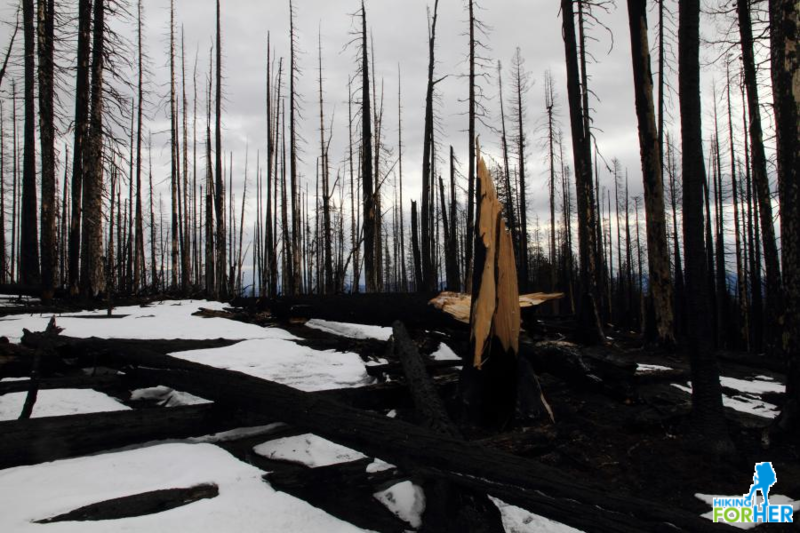 After the fire is extinguished, there are standing dead trees. Woodpeckers think this is great habitat, but hikers - well, we need to be cautious for several reasons. McCue Ridge burn, Cascades, Washington State. Note the cracked tree trunk and haphazardly strewn tree trunks. If a healthy tree has trouble hanging on to its spot during heavy rains and/or winds, imagine how vulnerable a dead or dying tree would be to the forces of nature. So how long should you wait before hiking through a burn area? The bad news is that no one can give you that answer. It takes years, perhaps decades, for the dance between trees and Mother Nature to get sorted out. And if trail crews don't frequent your preferred hiking area, those dead and downed trees are going to create hazards for a long time into the future. Again, recent trip reports can really help you out. And pay it forward: post your findings if you venture into a burn area. Trail tip: If you need to camp in a burn area, be sure there are no snags or deadwood above or near your tent. Wind can whip up while you're sound asleep, and you don't want to get an unwelcome lesson in gravity impacts. Sometimes even the experts get the weather forecast wrong. That's when you'll fall back on what's in your head, and what you carry in your backpack. Taking shelter from the storm is an instinct we all can relate to. But what can you do when the shelter - i.e. trees, forest, overhanging limbs - is not a good choice? Whip out your map, or consult any navigational device you have, to estimate how far you need to travel to get away from falling tree risk. If it's a minimal distance, maybe going for it is the right move to move out of the unsafe area? Turn around and try the trail again in a better weather window. If it's a long way before you can break out of tree cover, maybe you should wait out the weather event in the safest spot right in your immediate vicinity? You have to make the call for yourself, but don't fall victim to despair or an irrational fear. Commit to keeping yourself safe, after you think through your situation and know all the facts. Your biggest enemy is hypothermia when you're caught out in wind and heavy precipitation. And the combination will do its best to rob you of precious body heat. Read up on how to cope with hypothermia threats here. Frostbite can also be a concern with wind and water, so these tips can help. Chime in here and I'd be happy to add your trail wisdom to these tips. 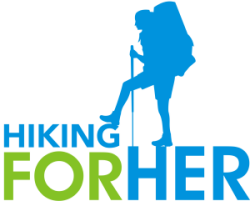 More tips for mitigating your risks as a hiker by planning to stay safe can be found right here.